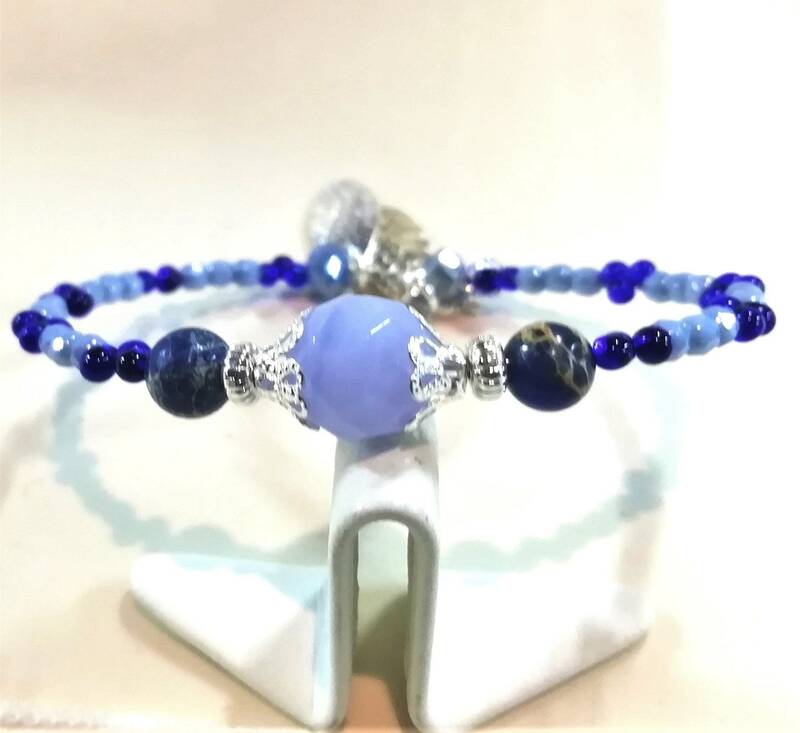 This Bangle is very fine, elegant and easy to wear. 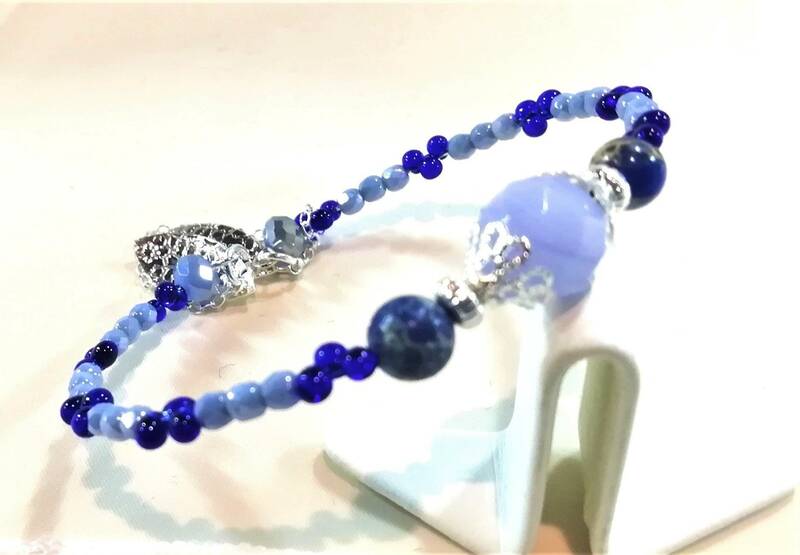 It consists of a Center stone surrounded by 2 reality marbled faceted chalcedony these beautiful gemstones are enhanced by tiny Boho Royal Blue and pastel blue beads. It also has an extension chain in 925 sterling silver and 2 hammered sequin charms and leaf silver plated filigree. 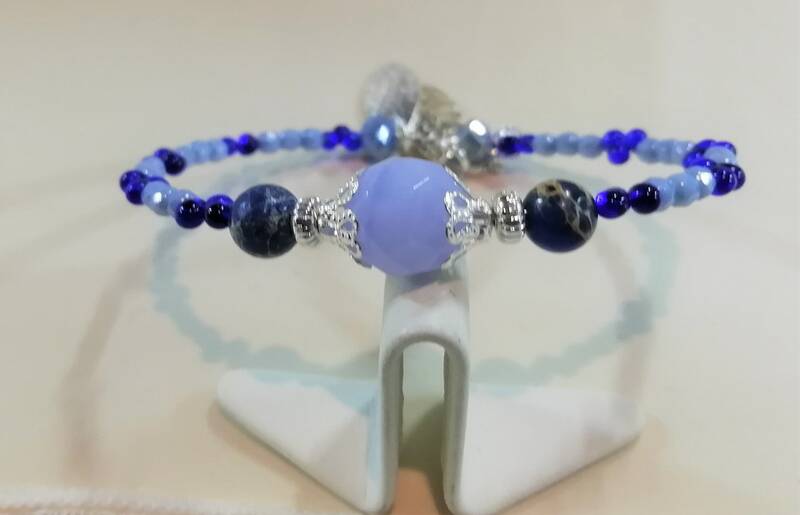 This gem has many advantages because not only it brings a lot of sophistication and elegance to any outfit but additionally it is very easy to put on. Just put it on and additionally its extension chain gives you 6 cm in length if needed. Its oval shape fits any wrist.